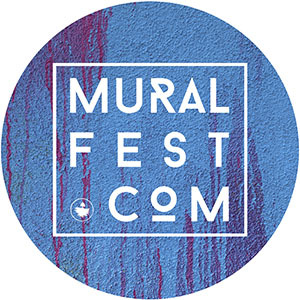 For Mural Fest 2018 we teamed up with Keshet dance and center for the arts @Midtown and Mick Burson to bring you the largest mural in the State of New Mexico! The piece is over 13,000 sq/ft and was a true community effort with over 200 volunteers a dozen local business, The City and County all coming together to bring this mural to life. 2017 Brazos Valley Arts Council, Bryan, Tx. 2016 Ingham Chapman Gallery, Milk, Gallup, N.M.
2015 Mclennan Community College, Should Have Been A Cowboy, Waco Tx. 2015 Sead Gallery, Kismet, Bryan Tx. 2017 Tamarind Institute, After The Circus, Albuquerque, N.M.
2016 CFA Downtown, At First Sight, Albuquerque, N.M.
2015 Texas Contemporary Art Fair, Houston Tx. 2015 Art in the Metroplex, Ft.Worth Community Art Center, Ft. Worth Tx. 2015 Art-space 111, 2nd Annual Regional Juried Exhibition, Ft. Worth Tx. 2014 Art-space 111, 1st Annual Regional Juried Exhibition, Ft. Worth Tx. 2014 500x, Hot and Sweaty, Dallas TX. 2014 University of North Texas- Voertmans Student Exhibition. 2014 Corra Stafford Gallery, Mise-en-Scene, Denton Tx. 2014 White Space Gallery, Lunacy, Dallas Tx. 2016 Keep Denton Beautiful. Public Art Grant from the city of Denton. 2015 Keep Denton Beautiful. Public Art Grant from the city of Denton. 2013 54th Annual Voertmans Student Competition. Scholarship recipient. 2010 Emerging Texas artist scholarship recipient. 2016 UNM Gallup, Gallup N.M.